No Insurance, No Problem. Introducing the Carlyle Dental Gym Membership Program for patients without insurance in Kinston, Goldsboro, Greenville and the surrounding areas of North Carolina. Now patients without insurance can get the same great dental care as always, but at a more affordable price. Join “The Dental Gym” today and get your teeth in shape! How Does The Dental Gym Work? For less than the cost of a typical year’s preventative services, you can join our exclusive Dental Gym Membership Plan and receive 20% OFF all restorative work, including cosmetic treatments such as Invisalign, Veneers and Zoom Bleaching. Routine preventative services are covered at 100% with the plan. It’s not insurance – and that’s the good news! There are no benefit limitations, no exclusions, no prior approvals needed. No ID card, no group or member number to remember. What’s more, you can add additional family members for even less. 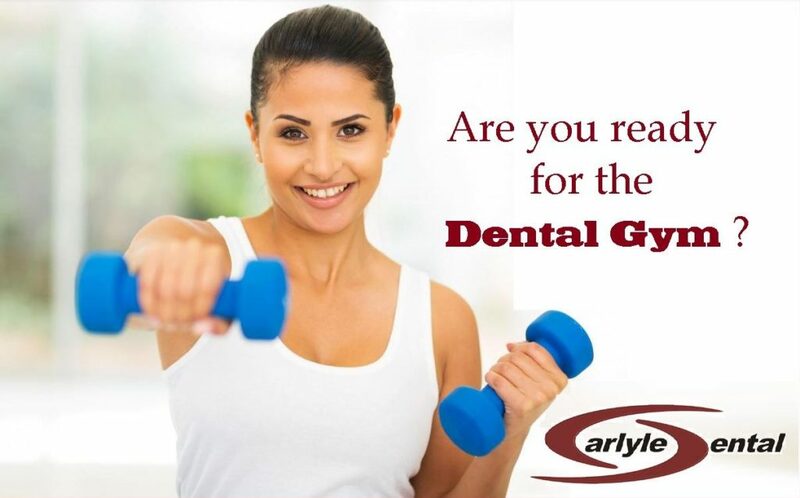 Contact us to start getting the benefits of our Dental Gym Membership today!